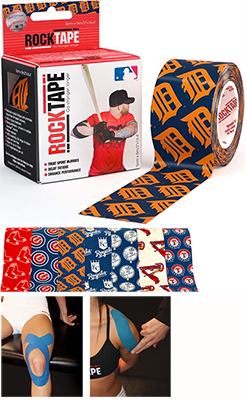 Turbo is an Exclusive Distributor of RockTape™ Products. RockTape™ is a leader in sports medicine products and methods offering the world’s best kinesiology tape. RockTape™ can be used to treat sports and non-sports injuries, including shin splints, plantar fasciitis, runner’s knee and back pain. When applied properly, RockTape™ microscopically lifts the skin away from the muscle and fascia below, which decompresses the area increasing blood flow and reducing swelling and delaying fatigue. Stretchier, stickier and stronger than the competition, RockTape™ is preferred by athletes throughout the world. FMT-LogoTurbo Representatives have been certified in Functional Movement Technology (FMT) to assist bowling retailers and athletes in understanding the proper use and application of kinesiology taping. FMT is a concept of muscles acting as a chain. Let Turbo, assisted by our RockTape™ partners, help you understand the framework of ‘taping movement, not muscles’ addressing issues related to pain, edema, scars and neurological symptoms. MLB Available Styles: Boston Red Sox, Chicago Cubs, Detroit Tigers, Kansas City Royals, New York Yankees, St. Louis Cardinals, and Texas Rangers.